Photo courtesy of Linda Hartman. Go for convenience, accessibility, and selection. 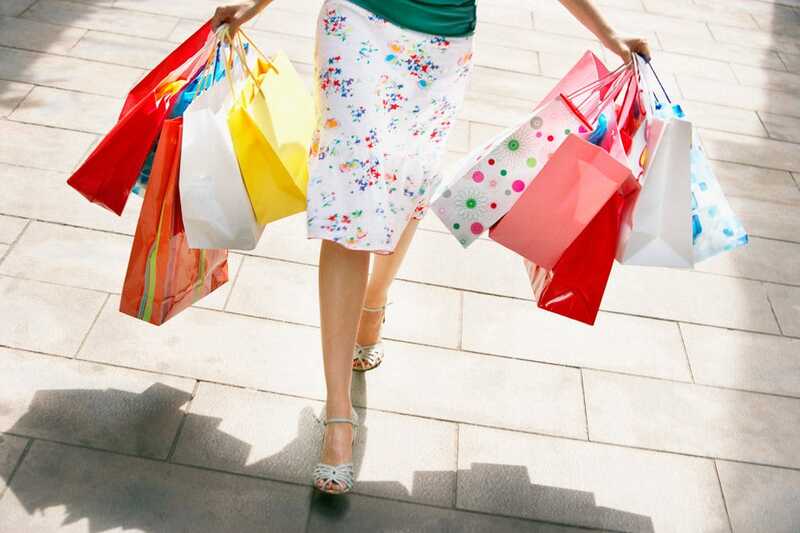 Those are the perks of Orange County's best malls and shopping centers. You can get in and out quickly and see a ton of things. Loads of local shopping options include high-brow and low-brow stores, along with food offerings should you need a drink or a bite along the way. Check out the wide variety at places like Downtown Disney® or Brea. Indoors or outdoors, there's a bounty to be had. With its bustling nightlife and restaurants, Downtown Disney® provides a fun, adult-friendly alternative to mouse ears and high-octane rides. Spanning more than 20 acres, the area between the park's gates and resort hotels stays busy day and night. Guests browse myriad shops; stop for cocktails, brews, or tunes at ESPN Zone® and the House of Blues®; dine at unique restaurants; and dance the night away at trendy discos. Visitors who want to take it easier can catch a flick at the 12-screen AMC® Theatres. 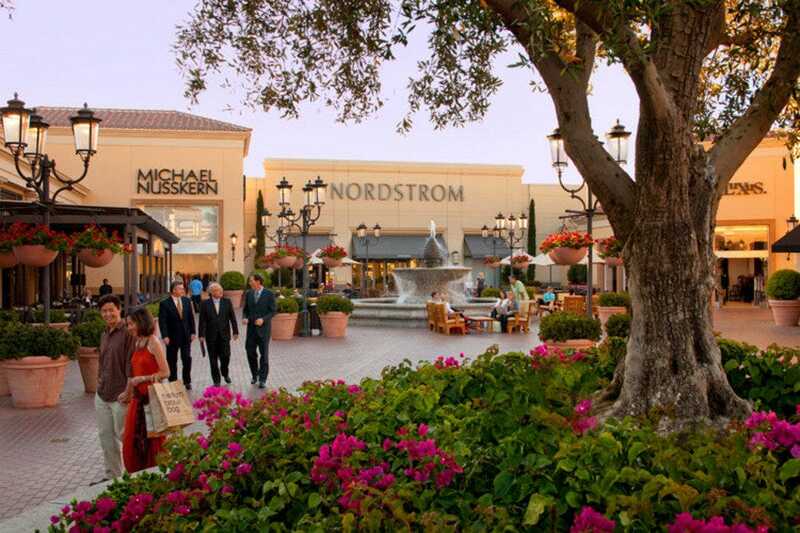 The second-largest shopping mall in Orange County boasts four anchors �– Nordstrom, Macy's, JCPenney, and Sears �– along with more than 175 specialty shops. Contemporary and comfortable, the mall is noteworthy for its Italian tile walkways, vaulted skylights, tranquil fountains, and modern sculpture, making it a pleasant place to spend a lazy afternoon. Quick-serve and sit-down restaurants are also available; many offer outdoor patios. 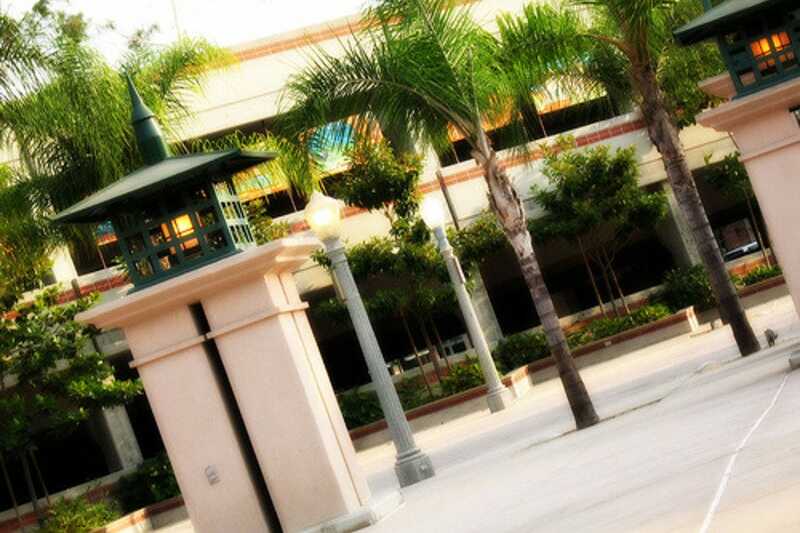 Boasting more than 190 boutique and specialty shops as well as anchors like Macy's, Nordstrom, and JCPenney, MainPlace is the heart and soul of trendy Santa Ana's shopping scene. Explore the well-lit, contemporary complex, taking time to stop by shops like Forever 21, Bebe, Victoria's Secret, and Coach. A movie theater and a California Welcome Center branch are also located here. Fashionable with the OC's antique hounds, downtown Fullerton dates from the 1880s, when brothers George and Edward Amerige purchased 430 acres of real estate and began developing it. Buildings like the imposing Odd Fellows Hall and Beaux Arts-style Farmers & Merchants Bank showcase the turn-of-the-century brickwork that once so defined the area. Today, shoppers flock to the Amerige Block (along East Commonwealth Avenue) and the Dean Block (along North Harbor Boulevard) to visit a variety of shops and restaurants. Boasting a variety of locally owned antique shops, galleries, and specialty shops, Old Towne Orange attracts crowds of well heeled shoppers on a daily basis. With its old, California-style brick buildings, public fountains, and secret gardens, Orange's historic district hearkens back to a time long since forgotten by its steel and glass So Cal neighbors. Quaint little tearooms and sidewalk eateries offer terrific respites from the travail of a day spent shopping. One of Orange County's most popular shopping destinations, Irvine Spectrum Center offers far more than name-brand retailers Nordstrom, Target and Macy's. 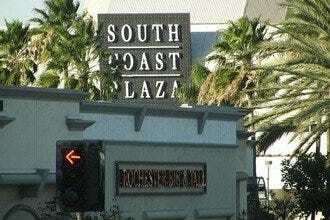 Indeed, the open-air center also features top-notch dining and entertainment options like P.F. Chang's, The Cheesecake Factory and Dave & Buster's. Aesthetically speaking, the complex's Spanish-influenced design has garnered public and critical acclaim, and shoppers particularly adore the wide-open spaces, lovely garden areas, and town-like atmosphere. A long-time favorite of local shoppers, 5 Points is conveniently situated and is also a convenient size for efficient browsing. Plus, it unites a variety of popular retailers, including Old Navy, Gap, Chico's, Aeropostale, Bath & Body Works, Pier 1 Imports, and Trader Joe's. Restaurants and cafes pepper the center as well, promising refreshment when you need it. 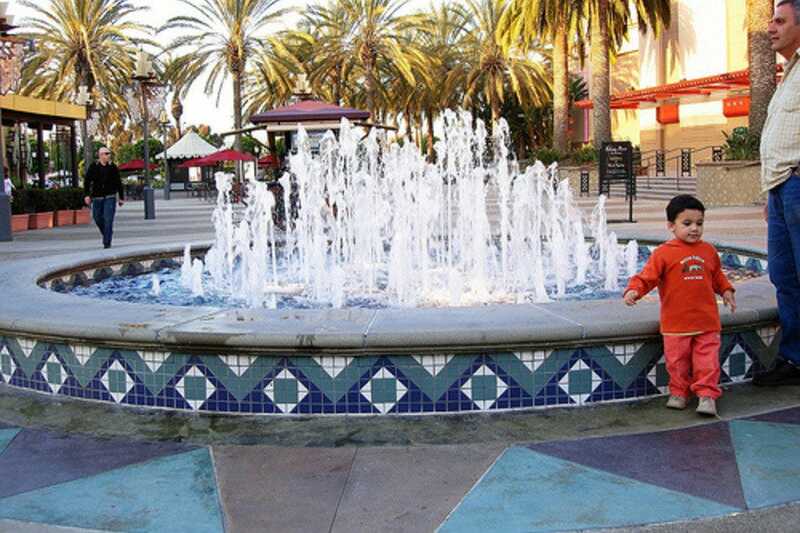 Upscale Fashion Island draws lots of shoppers, and not just for its array of tenants but for its easygoing, open-air ambience and its charming Mediterranean architecture. 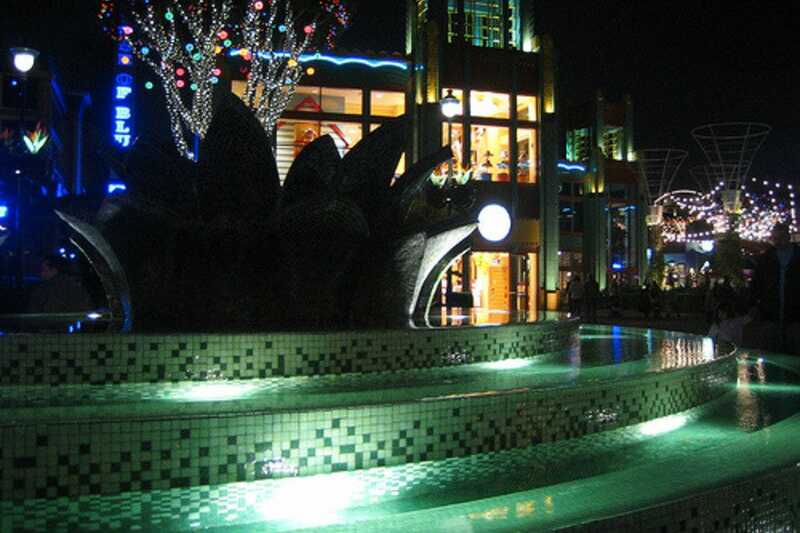 Graceful trees and lively fountains add to the appeal, making browsing among the more than 200 shops even more enticing. Included in the places you'll want to visit are Betsey Johnson, Bloomingdale's, Dean & DeLuca, Forever 21, Juicy Couture, Neiman Marcus, BCBG Max Azria, Pottery Barn, and Urban Outfitters. A host of great restaurants is also onsite, offering both quick-serve and sit-down options. 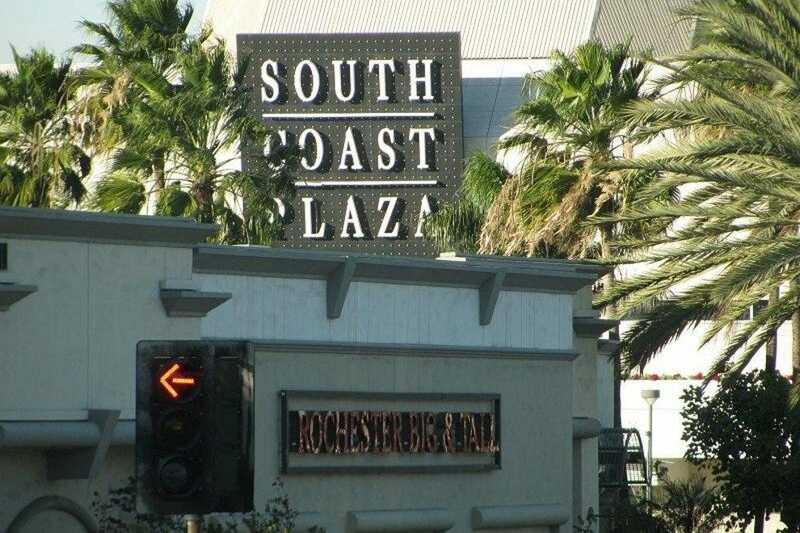 Whether you're on a brand-conscious mission or simply want to take in the bounty that is the OC, South Coast Plaza stands at the ready. The fashionable shopping center features Macy's, Saks Fifth Avenue, Nordstrom, Bloomingdale's, and Sears as its venerable anchors and also mixes in places like Chanel, Burberry, Ermenegildo Zegna, Christian Dior, Jimmy Choo, Giorgio Armani, Pucci, Montblanc, Louis Vuitton, and Versace. These luminaries are accompanied by a good selection of top-rated and more casual restaurants, both independent and chain. As much an entertainment venue as a shopping one, GardenWalk is a regional destination in the making. Convenient to the convention center and to Disneyland® Resort, it features well-known restaurants like P.F. Chang's, California Pizza Kitchen and the Cheesecake Factory, along with a wealth of retailers, including Sunglass Hut and Hollister. GardenWalk is distinguished by beautiful gardens and public spaces as well.